The Satin Annapolis pattern features a classic teardrop outline with a brushed finish, adding a contemporary look to a longstanding popular shape. These “Euro-Sized” pieces with a forged knife have excellent balance and weight. This affordable and elegant pattern is perfectly adaptable to both formal and casual dining. Love the weight and look of the set and have told friends about your product. Top notch flatware. Heavy duty, excellent craftsmanship, looks great, and exceptional value. Customer service team was very knowledgeable and quick shipping. Best of all it’s made in the USA! These are exactly what I was looking for. The size and weight are perfect. Very nice looking, and great quality. I love buying “Made in USA” whenever I can. Wonderful set that has a great weight and look. The large forks are pretty large and the small ones are ideal for me and my partner. Easily the best flatware set I have owned, not that I have owned many. They are prone to water spots as there is no intricacy to the design, which is what I like about them, but those can be gotten rid of very easily with some prompt drying. Zero regrets on this purchase. Arrived quickly. Beautiful set that compliments our new dining room. 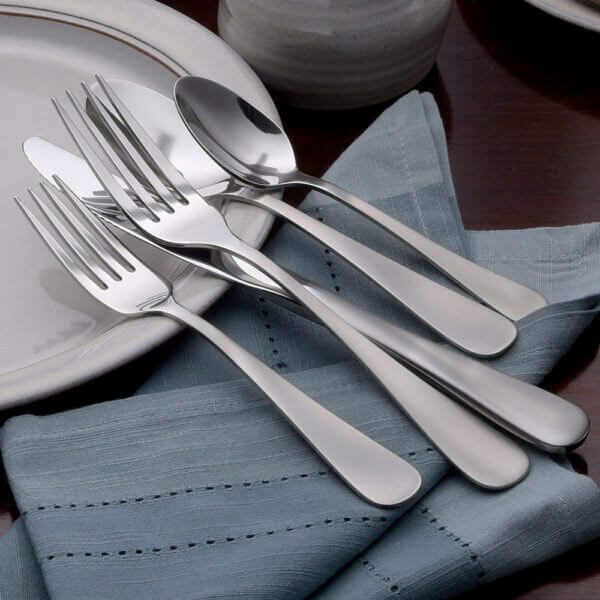 Beautiful flatware for every day use as well as for guests. Receieved many compliments on my flatware on Thanksgiving. 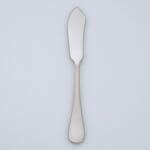 It is a nice weight – not flimsy or cheap feeling but not too heavy as some knives can be. LOVE that it is made in the USA. Purchasing process and shipping time frame were excellent. 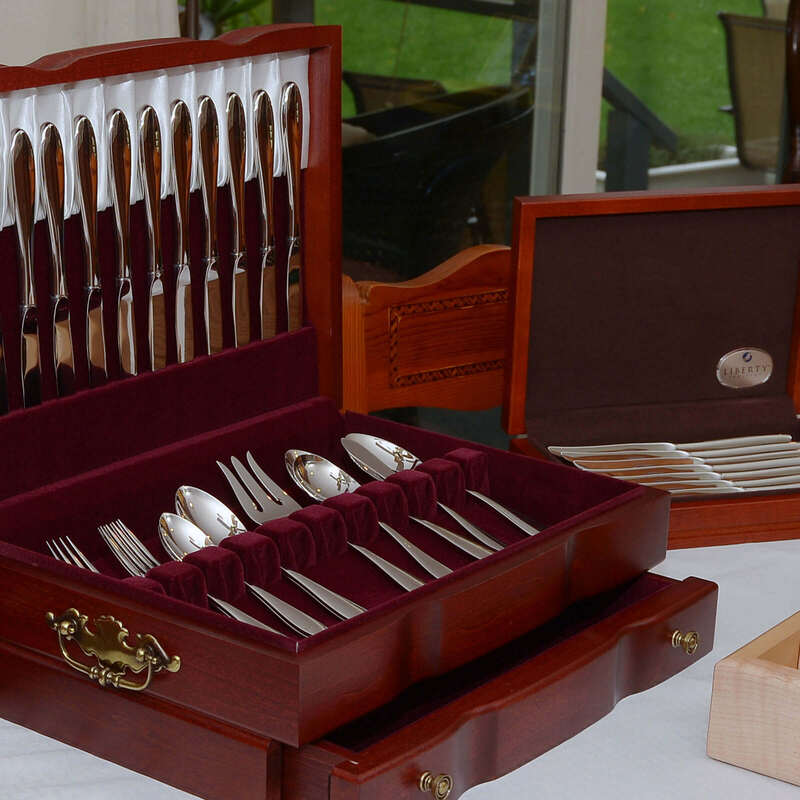 Great silverware! The quality and made in the USA. Can’t be more pleased with my purchase. High quality dry for everyday use, but nice enough to use for dinner parties too! Really happy to support the last remaining flatware manufacturer in the USA as well. Arrived fast, extremely well packed. Timeless look and good heft. Very satisfied. Absolutely love our new silverware! It’s simple, but elegant, and allows me to use it in both casual and formal settings. I especially love knowing it was made by craftsmen in the United States! An amazing value both for the solid feel of the pieces and their simple but elegant design. I only hope that the steep rise in the price of steel in the US set off by our “easy to win” tariff war doesn’t wipe out Liberty’s margins. Excellent product. Great quality, it looks nice, and it’s made in USA. I’m proud to own a product that I know will last for a lifetime, be safe for my family, and support jobs in America. Would reccomend. 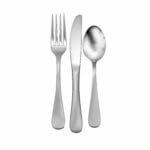 I researched many companies to find an 18/10 stainless steel flatware that would not bend, leave marks when run through the dishwasher and have a good weight for everyday use. The most important reason was the materials that are used to make this product. 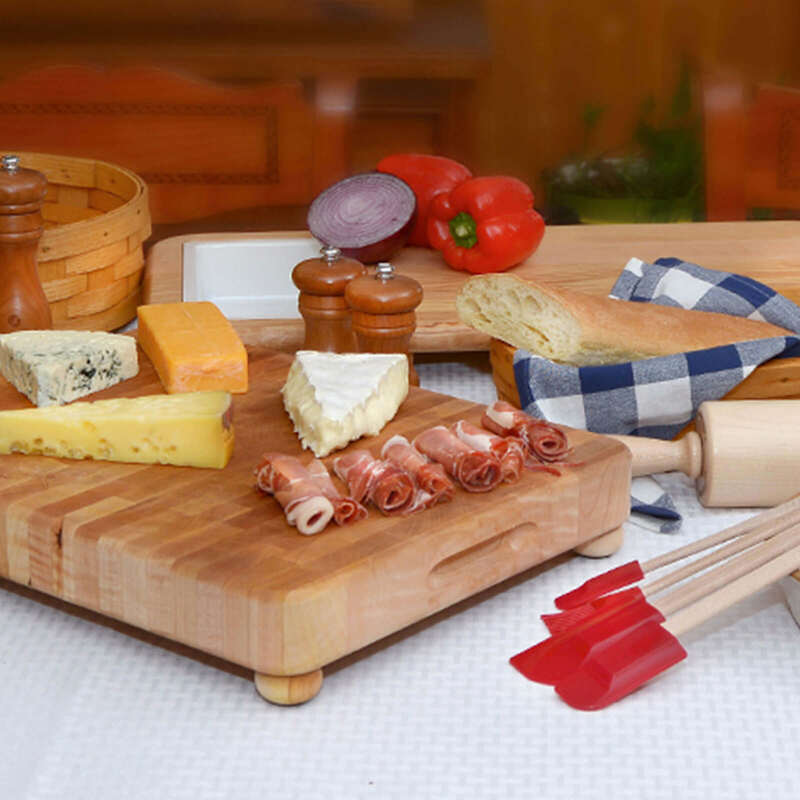 Liberty Tabletop makes a high quality product that is made in the United States. I am extremely pleased with the sturdy quality and know that this flatware will last a long time, unlike my other purchases that were made in China that rusted and bent. Also having no idea what metals were used to make that product. Thank you Liberty for a great product to be proud of. 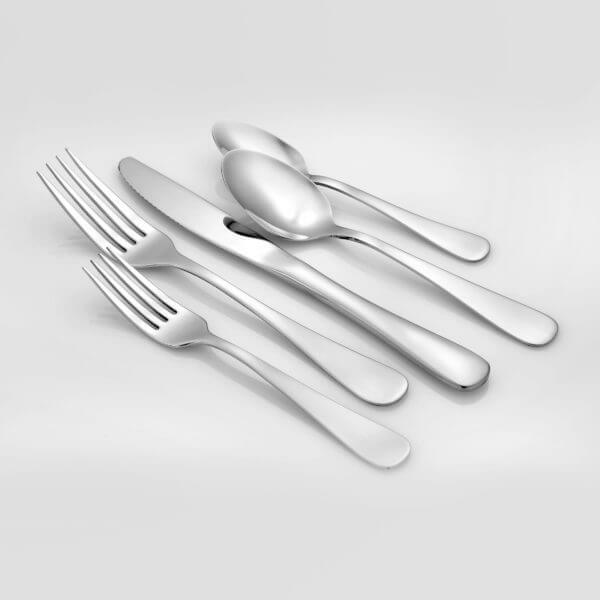 Love this flatware and, even more so, the customer service. We didn’t feel the knives were sharp enough to cut much of anything so I contacted customer service. They had me send the knives and they reworked them so they now cut as I would expect. Quality is great and customer service even better. I would give more stars if available. Very happy with Liberty Tabletop and their terrific customer service. Definitely going to shop again. Highest quality, will last ! We couldn’t be happier with our new flatware. It is beautiful and well made. This pattern is simple, but elegant, and timeless. This is our everyday flatware, but I would use this for a fancy dinner party as well. 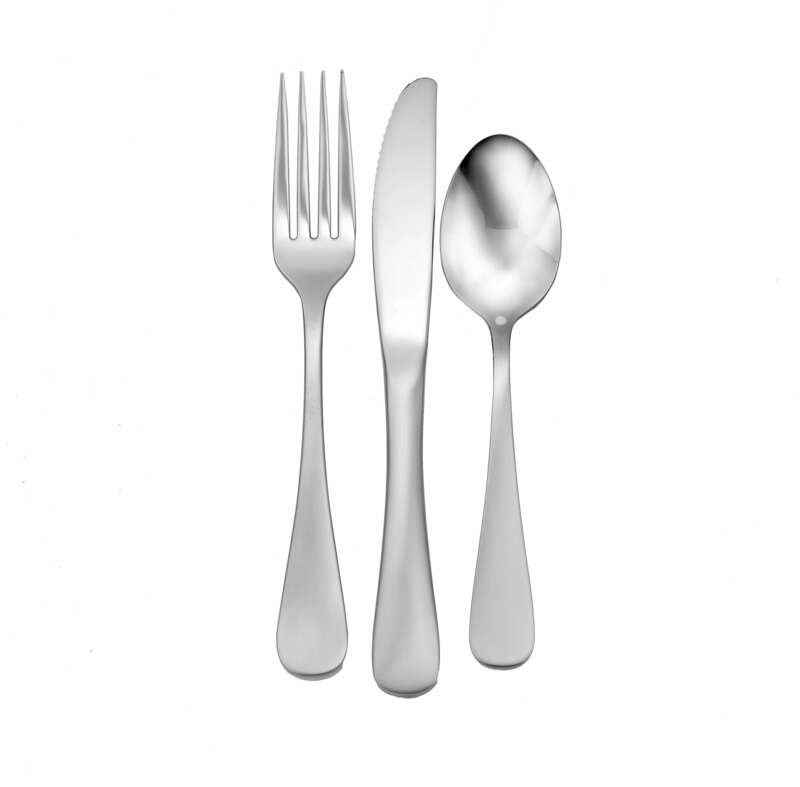 We also chose this flatware because it is made in the USA! Highly recommend. Your stainless is beautiful and MADE IN THE USA!!! LOVE IT!!! 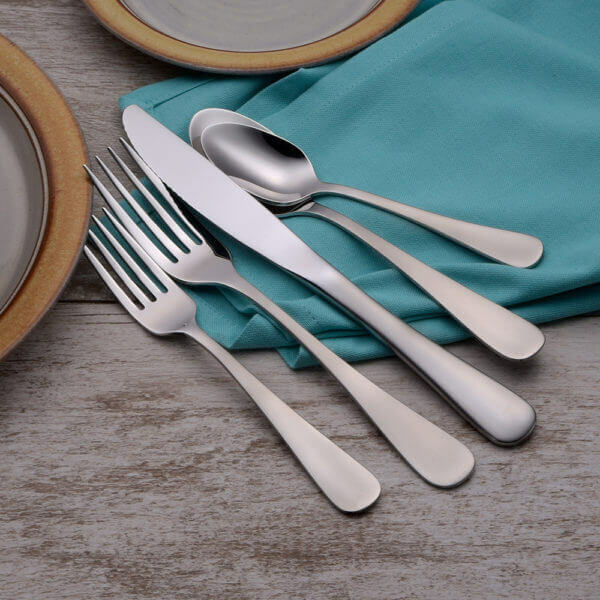 Very impressed with the quality of my new Liberty Tabletop flatware, nice clean design, feels good in the hand (nicely balanced) and sturdy. I bought the satin Annapolis set, great product ! 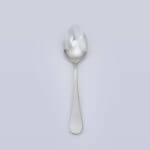 I accidentally found your site trying to find good flatware. I am so glad I did. It’s beautiful, and just what we were looking for. 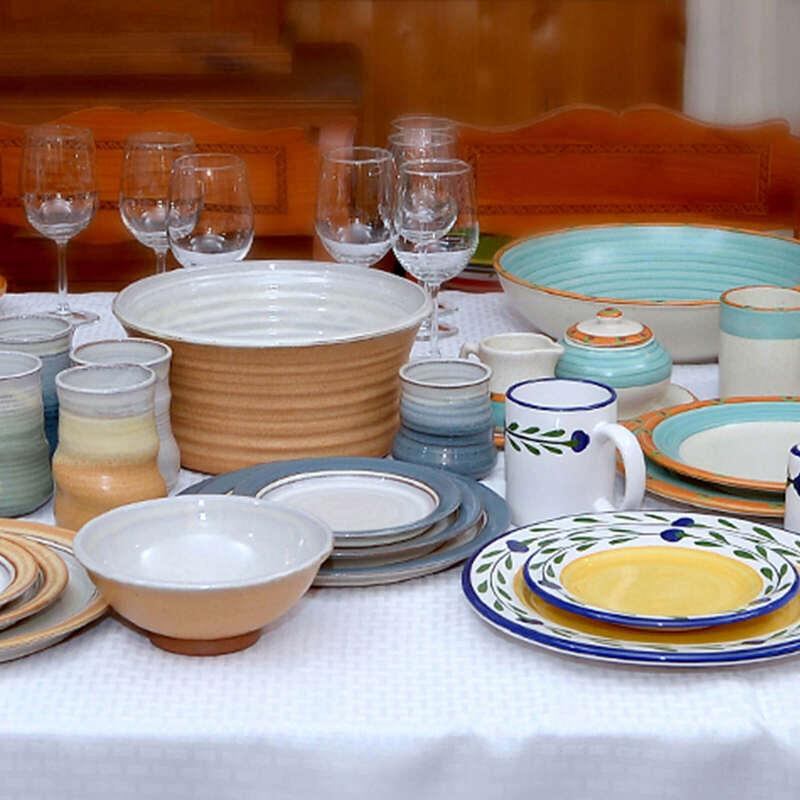 We use it for everyday use and I just used it for a Christmas party and it looks fantastic with good dinnerware. The quality is the best I’ve seen and I love the simplicity of it. We are also very pleased it’s made in the USA! 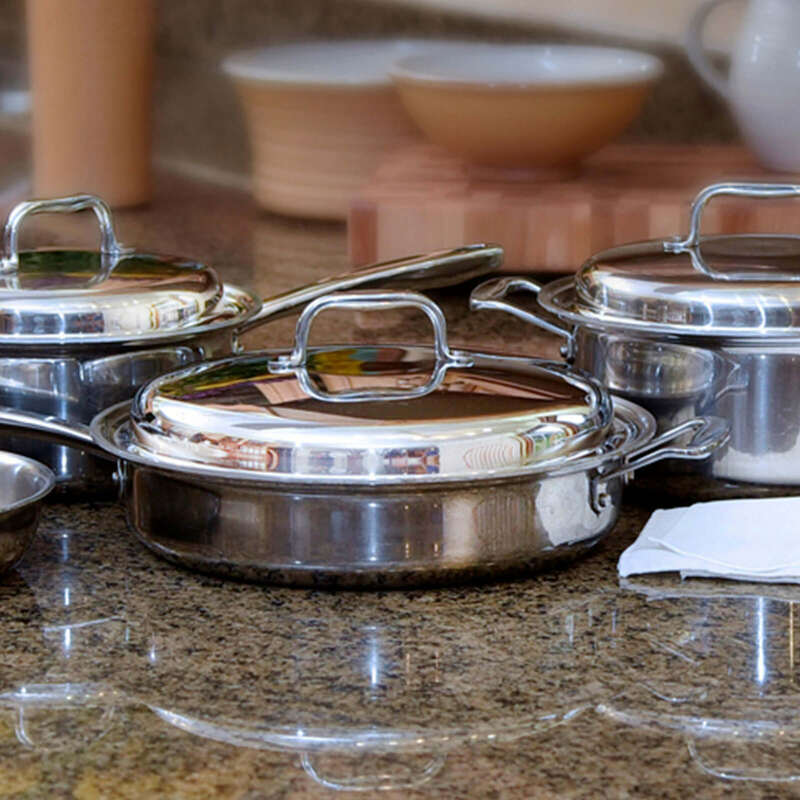 I am replacing my Oneida set that I had for over 25 years with Satin Annapolis from Liberty Tabletop. I took a shot on Liberty Tabletop and I am glad that I did. Quality is excellent, strong and I have no doubt that this will last forever. This style is simple, casual and can be used every day as well as those special times. No issues in the dishwasher either. 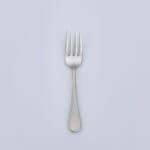 I love that the salad fork is the same style as the dinner fork but smaller. Customer Service is top notch. I’ve had to contact them a few times for various reasons and got satisfactory reponse each time and quickly too. I highly recommend you check out Liberyt Tabletop. Got some replacement forks and LOVE them!!! Highly recommend!! Very happy with these items. Arrived quickly and well packaged. Have been through the dishwasher several times already with no ill effects! These are wonderful. I didn’t know how rough my old utensils were until comparing to these. Liberty’s are very smooth, balanced in the hand and pretty. I am so impressed with their quality and proud they are made in America! Couldn’t be happier with it. I am very happy with the Satin Annapolis set. The order was shipped and received very quickly. The pieces were packaged efficiently (although it was surprising that EVERY piece was covered in its own plastic covering – felt wasteful). I was happy to see that not only is the silverware made in the US out of US steel, the production is powered by sustainable energy from Niagra Falls. Pretty cool! The size of the set is a little bigger than I’m used to, especially the forks, but that is more of an observation than a critique. It’s a very classic shape and style, which suits our household’s needs. Extremely pleased with the quality and look of this flatware. My girlfriend and I just moved into a place together and needed some new silverware. This was perfect. Very happy with product quality, value/price, shipping/handling, etc. Really glad there’s a high-quality, American-made option for flatware. I love my new flatware. So happy I took the time to go online and find Liberty. Their service was convenient and fast. The Satin Annapolis is simple and beautiful, and the quality is great. I know that my family and friends are eating with a quality product made in the U.S.A. 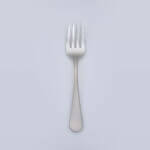 I threw away all my other flatware made in other countries. From now on it is Liberty Tabletop products for me and my family. Quality flatware made in the good ol’ USA. I could not be happier with my new flatware, and the quality service I received from Liberty Tabletop. You pay a little extra, but it is worth it. I highly recommend this company any time you are in the market for flatware. I bought my set off of Amazon. Best flatware I’ve ever used. I was tired of bending and breaking cheap China Walmart stuff. Well worth the money. Washes well in dishwasher. If I wanted to bend or break these I would have to exert some force. China Walmart stuff can be bent with slight force from just the fingers. 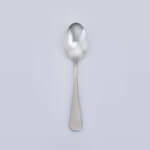 Not this Liberty flatware. I wanted a simple set, that I could get replacements for easily. This set fits the bill perfectly. I only wish they offered a steak knife with the set. i like this shape a lot, a few critiques, they’re a little thin, but at least still strong, the dinner fork is way too large. i think the edges would be more comfortable if they were rounded down a bit. Great quality, lovely flatware to use everyday. Far better than the junk from China. Will continue to purchase from this outstanding American company. 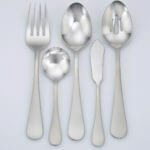 Great quality American made silverware! 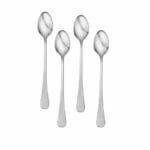 This is a great set of silverware with fast shipping and no hassle. The best part about the entire thing is these items are made in the USA! I would definitely recommend these items to everyone. I wanted affordable, simple flatware that could last a lifetime. I like the simplicity of the style (surprisingly difficult to find anymore) and the affordability of this incredibly durable set. The Satin is still a bit shinier than I thought it would be, but I’m getting used to it. 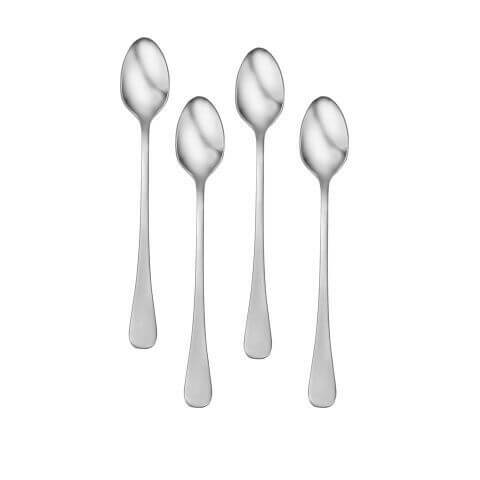 The dinner spoons and forks are really long and the dessert spoon is a little too small for my preferences, but these are far outweighed by the style and the likelihood that these will outlast me. I think I will get used to the sizes in time, as it’s difficult to neutrally assess flatware when you’ve used another set for so many years. I am also really pleased with the price and the super-fast shipping. 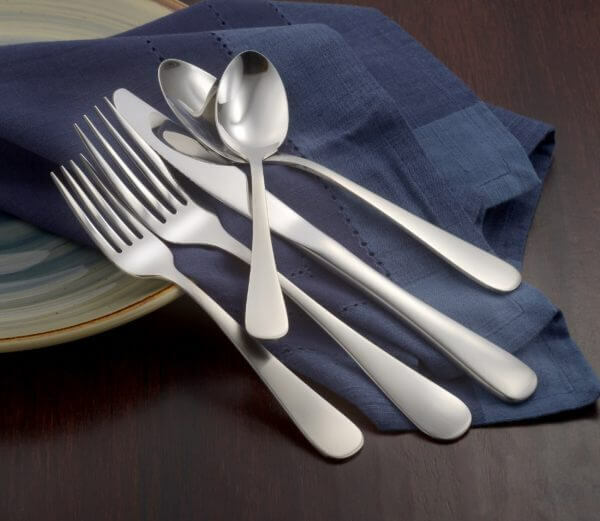 If I am ever in the market for another flatware set, I would definitely order from this company again. Was a Christmas and was a very big hit. Well made and very good weight. Seems very durable. Great product. Quality at an affordable price. Made in the U.S.A.!!! A beautiful set. Looked wonderful for our Christmas table. I’m so happy to have found this company. Looking more and more for products made in the USA. Was impressed with the help I received. I had to have this set sent overnight and sure enough it was here in plenty of time. Thanks so much. I really am very pleased with the SATIN ANNAPOLIS table ware I have. It is great and the best I have had ever and I’m 71 years old. 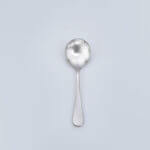 I like it better than real silver ware. Thank you for manufacturing such quality. I got the Statin Annapolis set. First was great that it is American made up in New York State. The set is very clean looking and with good weight overall to each piece. Finding the set in Satin finish was a bonus, found it hard looking at sets and many were polished and did not want that for everyday use. Very happy and satisfied with the set and highly recommend Liberty. We like the satin Annapolis pattern. The regular forks are oversized and we don’t really care for them. If you had a size in-between the salad and dinner fork it would be awesome. 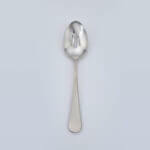 Well made nice and sturdy love these spoons. Great set, nice and generally sharp forks. Little shinier than i expected, but that could just be the polish they applied in the factory. Soaked them for an hour then ran them through the dish washer to get off the polish left on them( there’s a note about it in the box ). Stack nicely in the drawer too! My second set and this one as a gift. I only buy American made. I’m a cancer survivor and don’t trust what’s in cooking, knives,plates, flatware, glasses…and other items that are made outside the US. I don’t want whatever the components are leeching into my food once it gets warm. 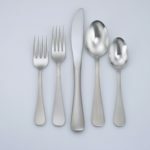 I was happy to find flatware made in the USA and the video is great. I especially liked the longer handles on the second set, as they were shipped to my son with big hands. Thanks Liberty for continuing to build American. First, I love buying American made products. Especially when they are hand worked. Simply elegant and love the satin finish. The tiniest of imperfections in a fewlets me know they were not dropped into some acid bath but worked by American hands on a buffing wheel. 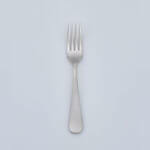 The dinner forks took me a couple of meals to get used to the size, now I don’t know how I ate with smaller ones. 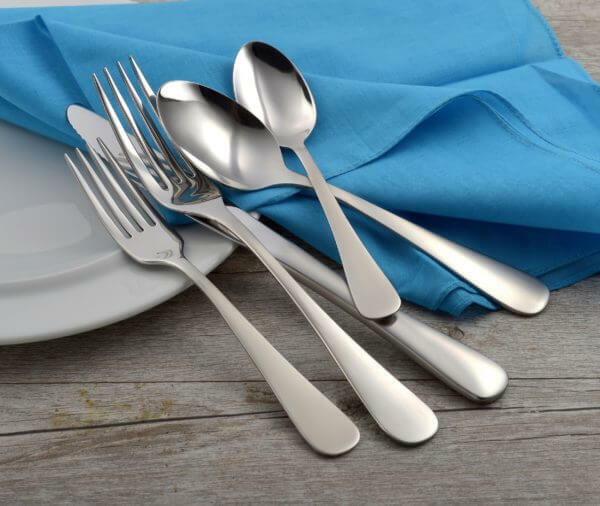 Will return to Liberty Tabletop for more and for formal flatware in the future. Great price for very good cutlery. 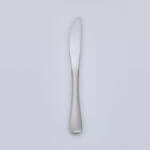 Edges of handles of forks and spoons are not rounded much. Not sharp but not gentle in the hand, either. Presumable that is due to thinner stock at this lower price point. Dinner forks are huge. Purchased this set just about a year ago, now back to order more! They have held up perfectly, are of great quality, and obviously the reason why I am here – they are made in the USA! Thank you, Liberty Tabletop! 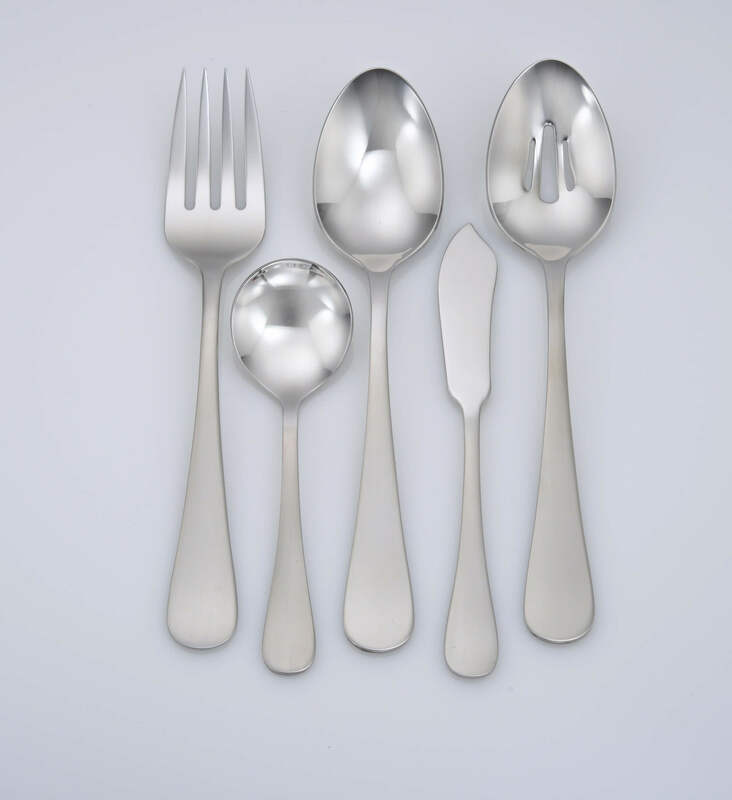 a lovely set of flatware with a nice weight without weighing the hand down. I enjoy the satin finish and the simple straightforward designs. the set came with an explanation of the company”s use of environmentally safe polish and the fact that the pieces are hand polished . This may leave some small grains behind. simply washing them before first use would take care of this. one has to appreciate the care and time the hand policing takes. The pieces are sized well and of a good weight. There were scratches or spots on the handles of a couple. A number of the forks have an odd horizontal stripe on the handle from what looked like irregular polishing. It is fine for casual purposes, but I wouldn’t use it for a nice place setting. The set has a nice finish and weight to reach piece; but the length of each, except for the knife, was shorter than what I expected. I wasn’t sure if I wanted to keep or return the set, but for $99, a guess I’ll keep the set for my first home. When I found out that there was in fact a US manufacturer of flatware, I wasn’t going to look anywhere else. I do not want Chinese made, as we never truly know what they are putting in their products half of the time. 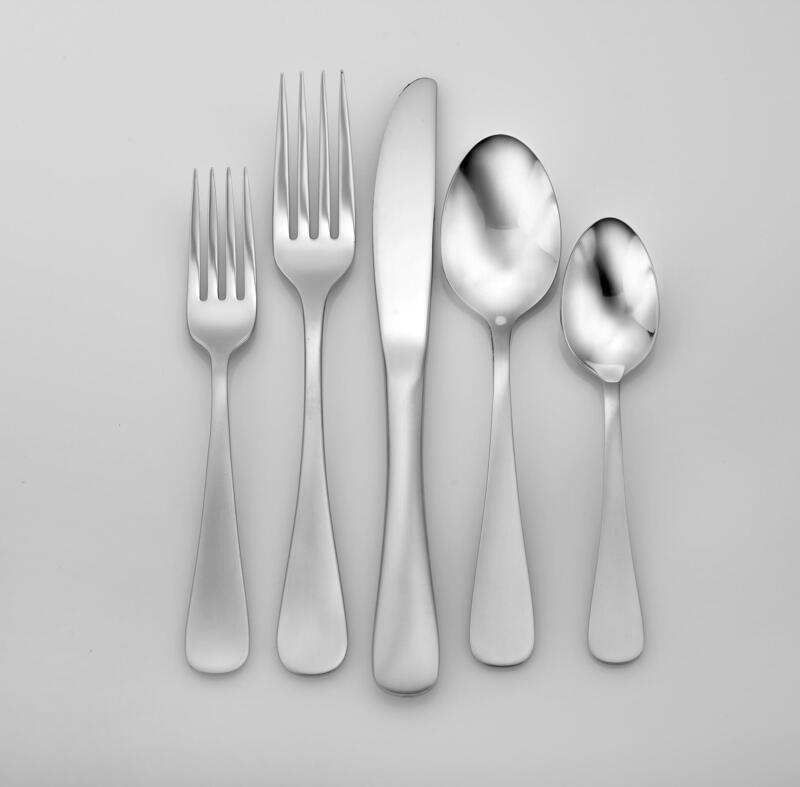 While the flatware itself isn’t bad at all – there is a black grease that is in every nook and cranny of the utensils. Because of this, I am still trying to get it all out. For $99, you’d think that they would get it off. Or at least charge me an extra $10 to pay someone for an extra 10 minutes worth of work during the process.